So here I am, lying on the beach after returning from a lovely few days staying with new friends and old on the Yorkshire coast. 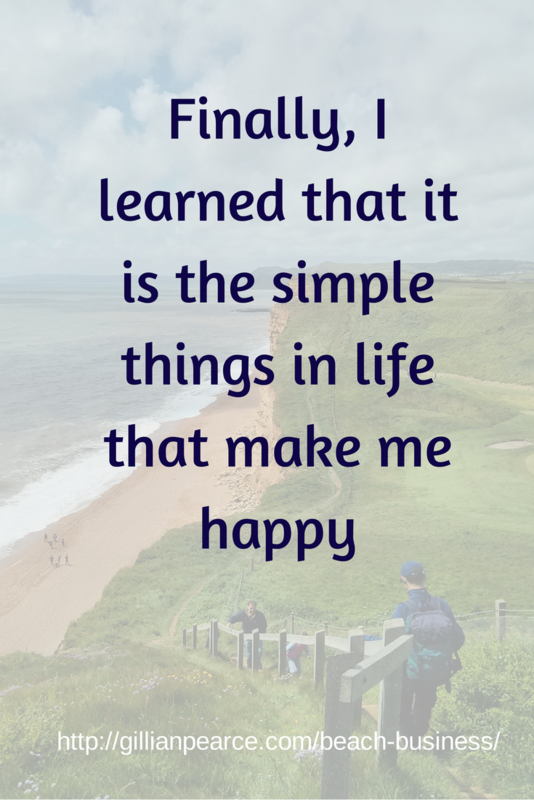 Which followed spending a fun few days with a friend in Glasgow which came after spending time with family and friends on the west coast of Scotland scattered with a few trips to the Commonwealth Games. And I think to myself . . . in the immortal words of Louis Armstrong . . . What a wonderful world! I see again . 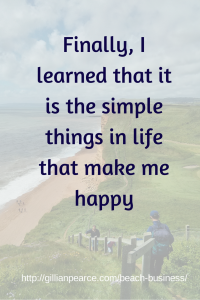 . . it is the simple things that make me happy – spending time with friends and family, exploring new places, listening to the waves and I wonder . . . how do I create a business that is not separate from this or one that doesn’t “interfere” with this other life? So I take the “I” out of the equation and trust that a business is already being created. As I lie here enjoying the simple pleasures, the universe is in motion. In the note pad I have with me I have questions written down that I “need” to answer. They are about the nature of my business, the details, numbers, my motivation etc. And I will answer them as best I can with what I know now, not attached to getting them “right” and with a sense of curiosity as to how this will unfold. The questions are the first exercise in a big website overhaul I’m undertaking. It feels long overdue so when an opportunity arose to work with someone who’s a master at such things, I jumped at it. My hope for the project is that I will be able to create a space where all the bits I’ve been dabbling in can hang out together in a way that “works”. I’ve tried the conventional wisdom of keeping different businesses separate but I found I just jumped from coaching, to art and back again. And that is not my life. It is not nicely compartmentalised – family here, business there, travel here, art there, coaching somewhere else. It is all one experience, all one me. I’ll get stuck into the questions soon but first there is time for just one more swim.